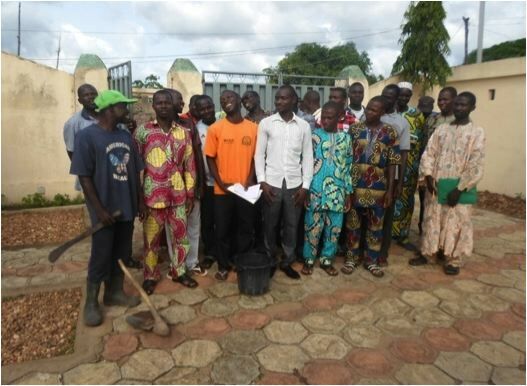 From August 4th to August 10th project participants from around the region came to Kpalimé, Togo, for the first in-depth training of trainers and technical exchange. Participants from the Gambia work on their national SRI map. Split into two groups – one francophone, one anglophone – the workshop aimed to foster stronger regional connections, knowledge sharing, and to deepen technical capacity and knowledge in each country. More information on the workshop will be available in the report, which will be posted shortly on the Project Documents page. 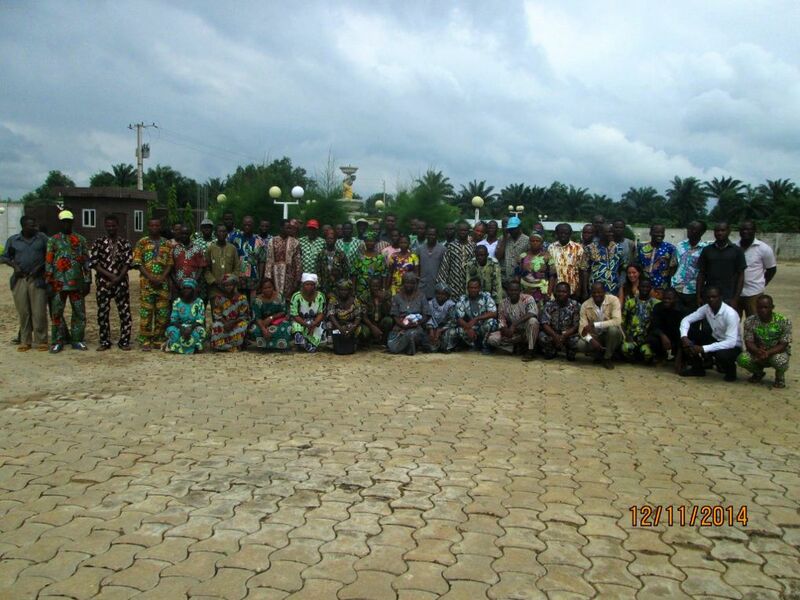 This entry was posted in Mechanization, Rice Production Systems, Togo, Trainings and tagged Kpalimé on 15/08/2014 by sriwestafrica. President of Liberia and Nobel Peace Prize recipient, Ellen Johnson-Sirleaf, was on hand to commemorate the Liberia’s first National SRI Field Day, kicking off a three-day harvest celebration of SRI-produced Nerica L-19 rice at the Community of Hope Agricultural Project’s (CHAP) farm located on the outskirts of Monrovia. Speaking to the crowd, President Johnson-Sirleaf, herself a farmer, stressed the importance of farmers to the nation’s food security, and praised both CHAP’s work and the SRI methodology. CHAP’s President, Robert Bimba, was also on hand to lead the events, meet with the President, and guide the delegation on a tour of the site. 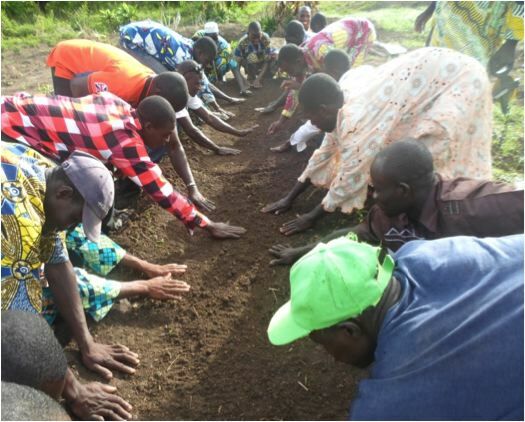 Robert Bimba and CHAP have been instrumental in the introduction and spread of SRI in Liberia, having conducted the first national SRI training in December, with participants coming from every county in the country. 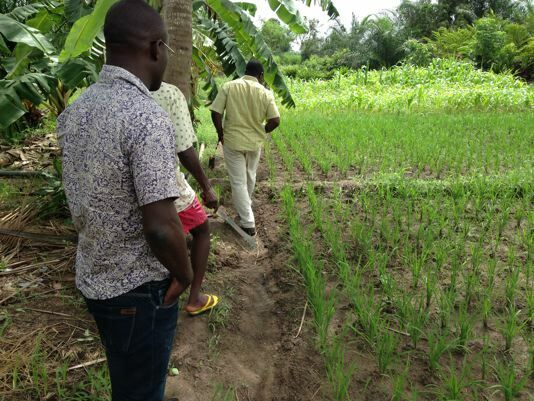 As the National Facilitator (NF) for SRI activities in Liberia under the WAAPP, Bimba has an important role to play in boosting the country’s rice production, and is setting the bar high for his peers in other countries. Even though Liberia was originally considered in the third–or least established–group of SRI practicing countries in the region, his work with CHAP is quickly changing this. During the field day, enthusiasm and support for CHAP’s work was abundant, coming not only from President Johnson-Sirleaf, but also from Dr. Florence Chenoweth, Liberia’s Agriculture Minister, Henry B. Fahnbulleh, Montserrado County District No. 4 Representative, and a representative of the WAAPP. The President lauded CHAP for following through on its vision, saying “CHAP has been doing this year after year, so let’s commend them for that.” Similar praise came from Dr. Chenoweth, who said that while CHAP and their collaboration with the Ministry have been a notable success, but cautioned that more still needs to be done. 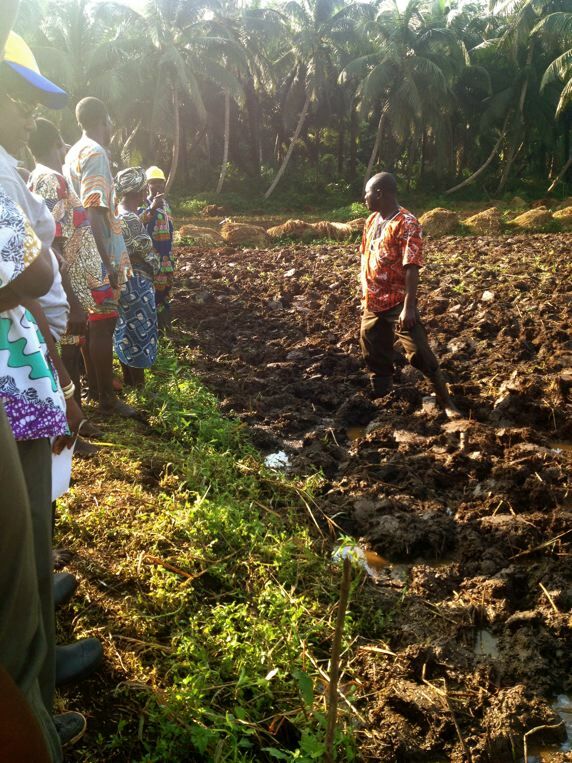 Local government officials, such as Representative Fahnbulleh, pledged their support for creating a favorable policy climate for innovative agriculture like the kind practiced—and taught—by CHAP. 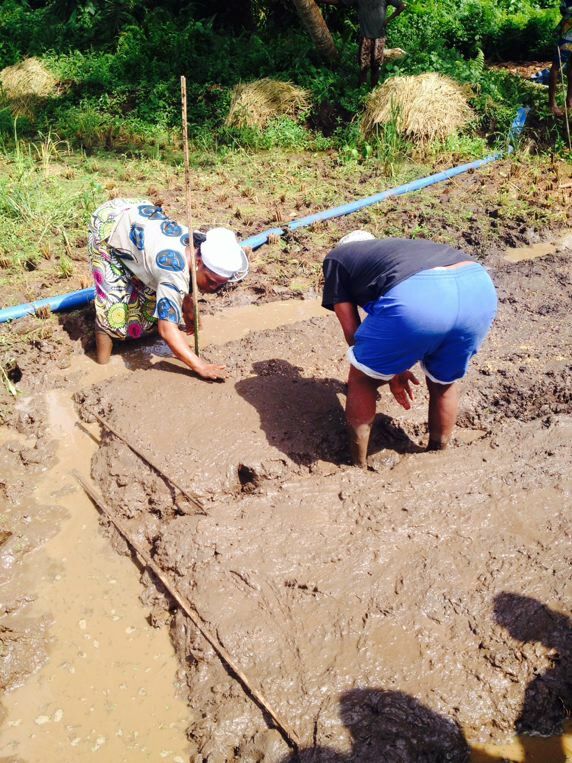 This entry was posted in Irrigated, Liberia, Rainfed Lowland and tagged CHAP, Ellen Johnson-Sirleaf, Robert Bimba on 14/05/2014 by sriwestafrica. 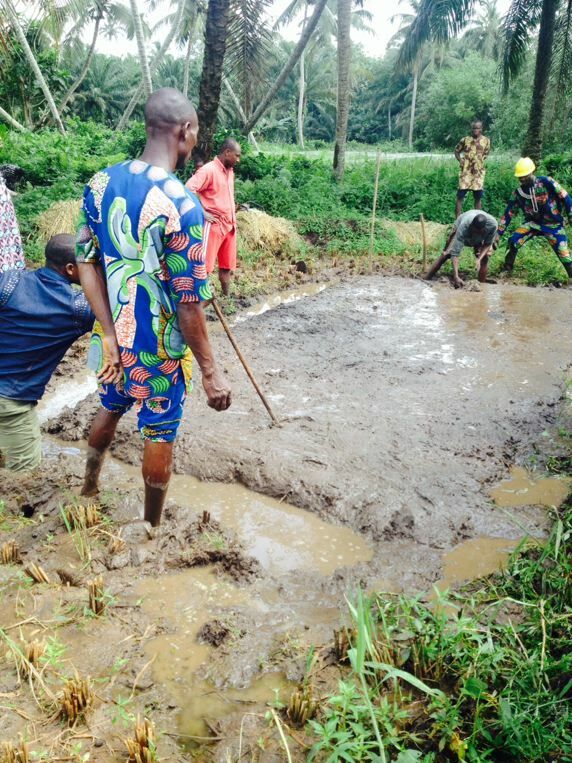 This entry was posted in Liberia, Rainfed Lowland, Rainfed Upland, Swamp and tagged CHAP, Erika Styger, Robert Bimba on 14/03/2014 by sriwestafrica. As the official technical partner for the project, Cornell University’s SRI International Network and Resources Center (SRI-Rice), based in Ithaca, NY, USA, is responsible for conducting periodic support visits to countries throughout the project region. 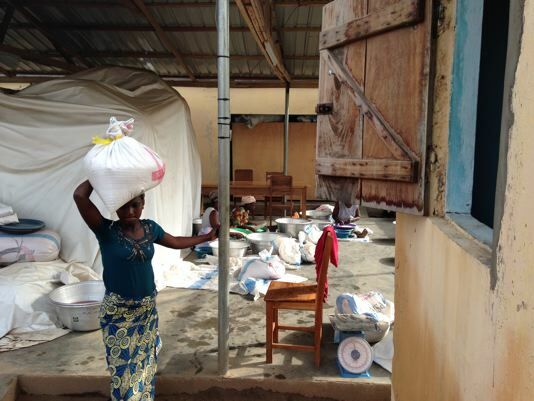 In early March SRI-Rice Technical Specialist Devon Jenkins traveled to southern Togo for a short two-day trip to meet with project partners and observe project activities. 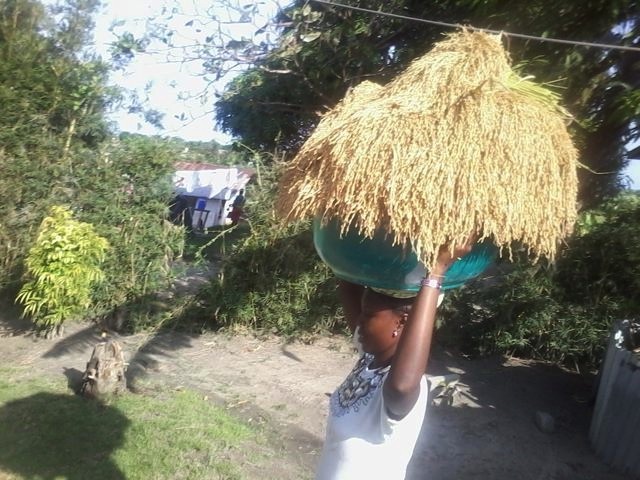 A full list of SRI-Rice support trips and their reports are posted on the Project Documents page. The full report of this support trip is also available here. 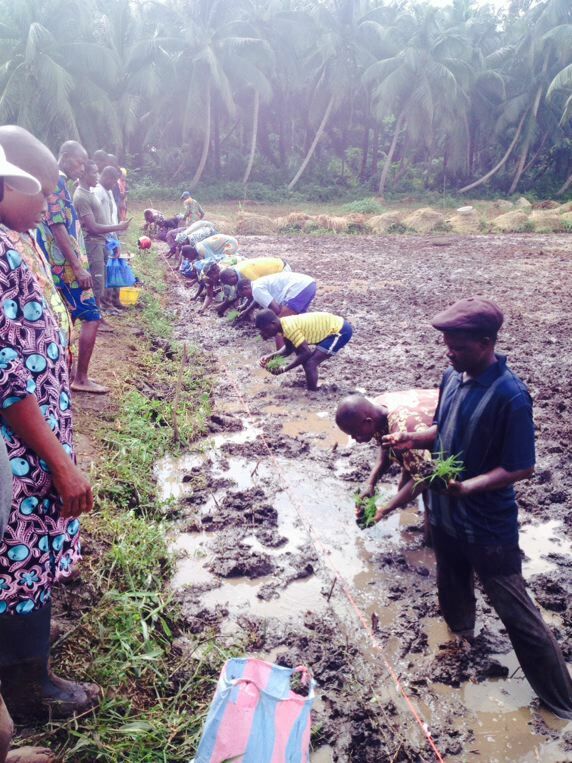 This entry was posted in Irrigated, Rainfed Lowland, Togo and tagged ESOP, ETD, GRAPHE, ITRA, Notsé, Tsevié, Zio River Valley on 10/03/2014 by sriwestafrica.